To advertise the John Ryland’s Library exhibition, “Women Who Shaped Manchester”. Their primary audience for the exhibition is the Audience Spectrum segment, “Commuterland Culturebuffs”. They asked Culture Calling to put together a plan for the print distribution of 14k booklets as well as A3 posters. They also wanted to consider working on digital opportunities with Culture Calling. The dedicated Account Manager in Culture Calling’s Manchester office was able to use Audience Finder mapping tools to find postcode areas in Greater Manchester, where there would be a high percentage of The John Rylands Library’s audience spectrum segment living. A bespoke distribution campaign was put together using local knowledge and the insight from Audience Finder. The print was distributed in high profile, high footfall sites across the region. This included theatres, museums and libraries in some postcode areas as well as more grassroots distribution in cafes, bars and restaurants in other postcode areas. The distribution of the booklet alongside the posters, gave a thorough coverage in the set postcode areas. 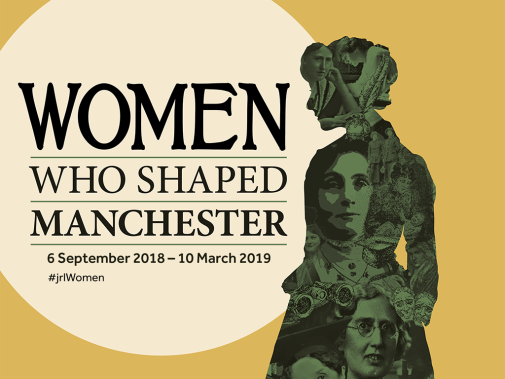 An inclusion in Culture Calling’s Go See This newsletter, meant that an advertisement for “Woman Who Shaped Manchester” landed in 4500 Greater Manchester’s subscribers inboxes the opening weekend of the exhibition.